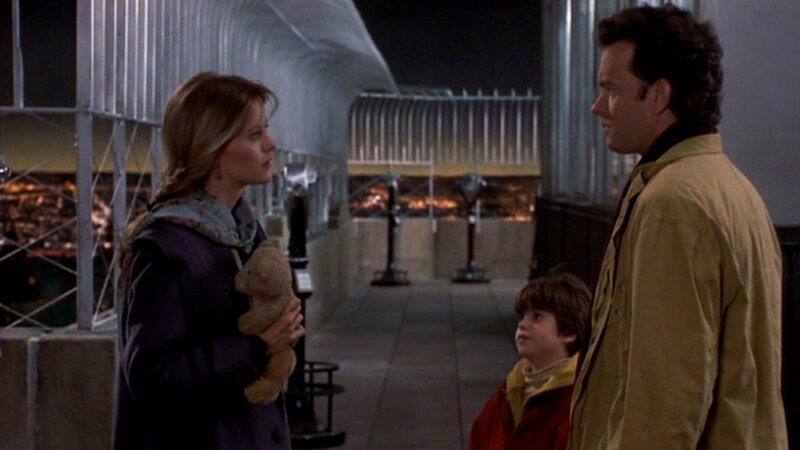 I’ve always liked Sleepless in Seattle, though on principle I hate romantic comedies. This scene struck me as powerfully real and there are echoes of it in the monologue Tom Hanks gives to his friend when he gets back from the island at the end of Cast Away. There are moments in cinema where things pass being entertainment and start being slices of real life. They speak to people. At times in our lives, something will happen and the first thing we think about ….is a movie clip from a film we may not have seen in decades. In the days following my wife’s death, I thought about this scene more than anything. Not because I was at the stage Tom Hanks was at where he was functional but sad. I wanted to BE functional and sad because what I felt and still feel to a large degree is like I’m walking around with an emotional gunshot wound. So those words of his. You have to keep breathing. You have to make yourself get out of bed. You have to remind yourself to do these things in the hope that one day you won’t have to remind yourself again. It’ll just come. It’ll just be what you do. I’m not stupid. There’s no great ending to my story. At least he was lucky to have a kid. Having responsibility helps enormously in the “why should I get out of bed?” phase of the day. I honestly don’t know how my story ends. I think the advice is sound, though. I’ve been using it. It’ll be a month tomorrow. So far I’m still here. Are there scenes in films that have helped you like that? Share in the comments. I’ll remind myself to breathe in the meantime.